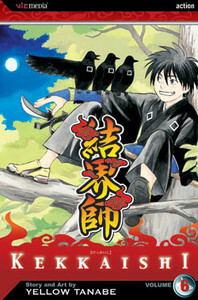 The governing body of kekkaishi, the secretive shadow organization, sends a young tough named Gen to help patrol Karasumori and protect it from the increasing numbers of ayakashi spirits. But Yoshimori isn't about to sit down and let this punk move in on his territory. It's a kekkai super showdown! Who has the stronger barrier magic?